Internationally renowned authors, musicians and recording artists, Frank Villafranca and Andrew D. Gordon, have composed a collection of grooves and melodies in the Smooth Jazz Genre creating an exciting supplemental jazz study series for beginner, intermediate and advanced jazz students and musicians. 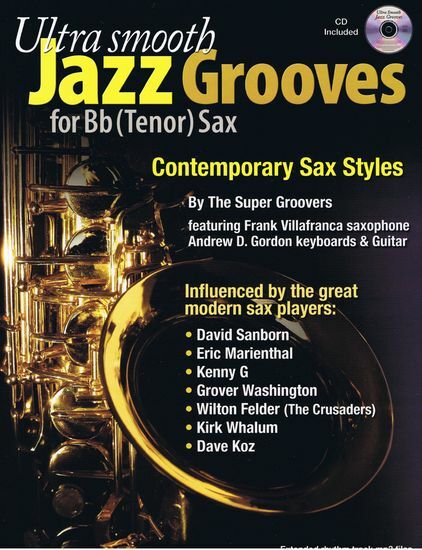 After releasing their first CD “Supergroovin”, which received world wide airplay, they recognized a need in the music publishing business for a series of books on contemporary improvising within the “Smooth Jazz” genre. Andrew composed and recorded all the rhythm tracks used in this book. In thend melodies in the Smooth Jazz Genre creating an exciting supplemental jazz study series for beginner, intermediate and advanced jair opinion, the melodies were so catchy they couldn’t resist developing them into completed songs. “Mainline Connection”, “Villefranche–sur-Mer” and “You’re The Only One In My Life”, are a few featured on their second CD, “Mainline Connection”. Their CD's or mp3 downloads are available from iTunes, Amazon.com, CD Baby or from The Super Groovers web site. Check out The Super Groovers Music.